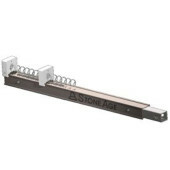 10 ft (3.1 m) rail extension for component lancing systems. Air-powered dual rotating lance power package for component lancing systems. 15,000 psi (1000 bar). 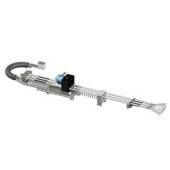 Air-powered rotary tool for rigid lance tube cleaning. 15,000 psi (1000 bar). 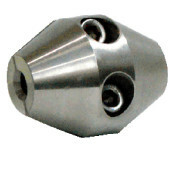 Air-powered single rotating lance power package for component lancing systems. 15,000 psi (1000 bar). Air-powered triple rotating lance power package for component lancing systems. 15,000 psi (1000 bar). Air-powered dual rotating lance power package for component lancing systems. 20,000 psi (1400 bar). 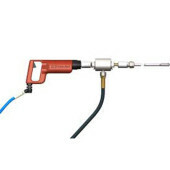 Air-powered rotary tool for rigid lance tube cleaning. 20,000 psi (1400 bar). 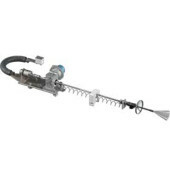 Air-powered single rotating lance power package for component lancing systems. 20,000 psi (1400 bar). 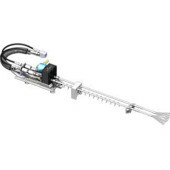 Air-powered triple rotating lance power package for component lancing systems. 20,000 psi (1400 bar). Air-powered dual rotating lance power package for component lancing systems. 40,000 psi (2750 bar).